Homes have been ripped to shreds and whole neighborhoods submerged in the US, as hurricane Michael beat a destructive path through the states of Florida, Alabama and Georgia. 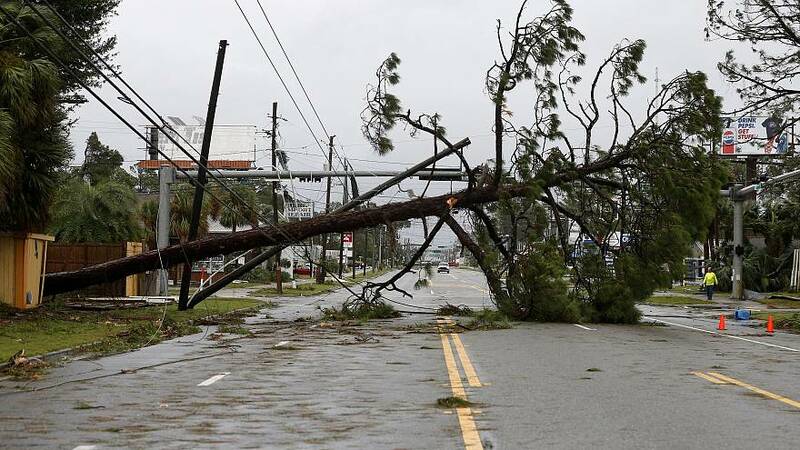 The National Hurricane Center said Michael is now near the Georgia/South Carolina border. It made landfall as a strong Category 4 hurricane, but has weakened to a tropical storm as it continues to move inland. "Strong winds, heavy rain, and tornadoes" are expected across parts of Georgia, South Carolina, and North Carolina today, according to the NHC. The hurricane has taken two lives - one of them an 11-year-old girl, officials said. More than 700,000 homes and businesses were left without power and thousands spent the night in shelters. Hurricane Michael is the first Category 4 hurricane to make landfall in the Florida Panhandle on record.